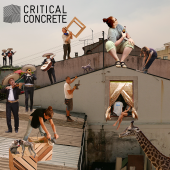 Critical Concrete promotes a new model to refurbish socially-relevant spaces – social housing, cultural centres, and public spaces – through educational programmes. 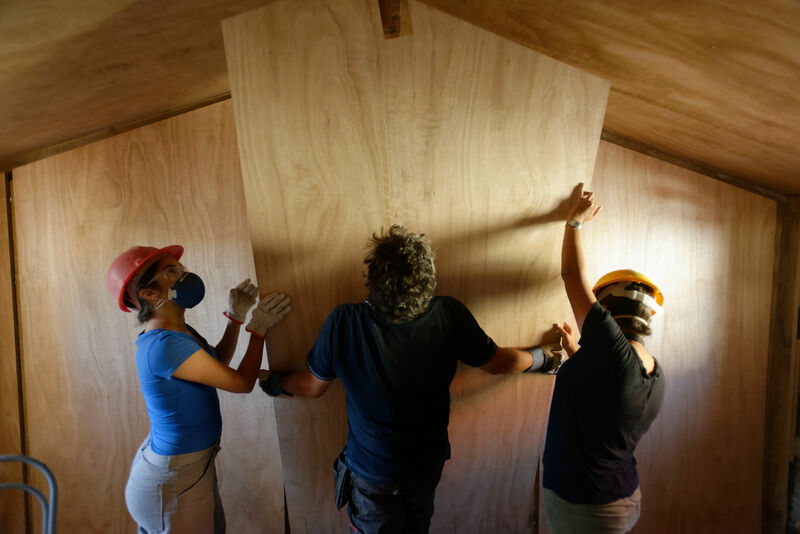 We offer a summer school program for architecture, design students and makers who are interested in both the theory of sustainable architecture and getting physically involved in the construction work. 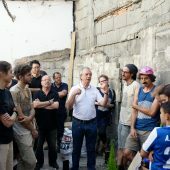 In this process, summer school participants contribute to the thorough refurbishment projects that could not normally be afforded by the social housing occupants or covered in full by public funding. On top of rehabilitating social housing, we also conduct refurbishment projects for cultural and public spaces. These projects serve as connective tissues in neighborhoods that we work closely with. In the Summer Course, we offer a completely unconventional and cutting edge programme. We will work on innovative solutions for social housing, while simultaneously developing new working methods. Both students and young professionals will explore models of cooperative planning in interdisciplinary groups, design and build their projects! Research Question: Along with the goal of the summer school which is the refurbishment of a house of a family in need, we applied our last research on insulation. 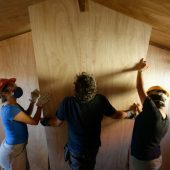 We isolated the house with cardboard insulation panels. 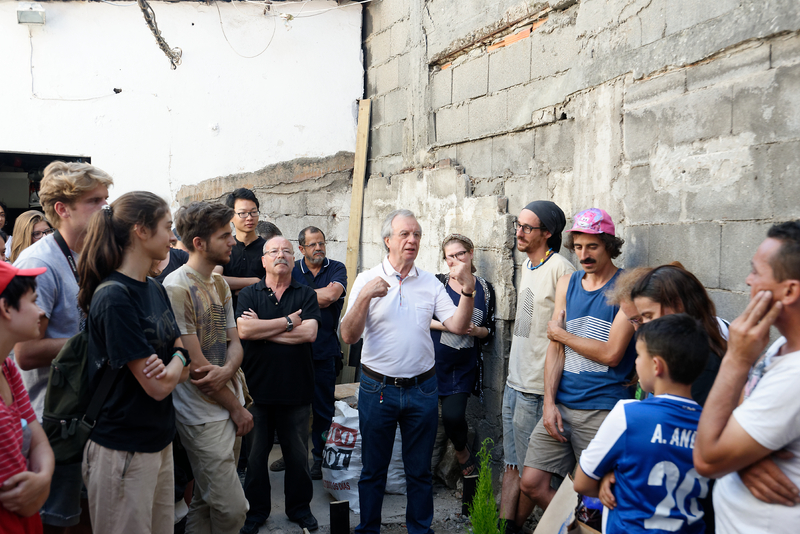 Then, we searched and experimented further on the mycelium insulation production with the help of our local mushroom producer, Jorge Miguel Rocha Rodriguez from Cogumelos Do Migaas and the expertise of Maurizio Montalti from Officina Corpuscoli.